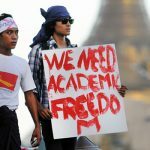 As the European Union approaches the renewal of the Common Position on Burma in April, and as discussions continue within the European Union regarding its response to the Rohingya crisis, members of the European Burma Network are calling on the European Union to fundamentally review its approach to Burma. Current policy is still based on the flawed and outdated assessment it made in 2012/2013 that Burma is in a transition to democracy. 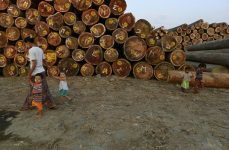 The potential influence of the European Union to promote human rights and democracy in Burma has always been undermined by a three-way split within the EU. Some member states have favoured a stronger approach on human rights, others favoured a policy led by trade and geostrategic interests, and the European Commission/External Action Service has largely been following its own agenda, at times in direct contradiction of what EU members states have agreed. These divisions within the EU undermine EU and international efforts to promote human rights and democracy in Burma. 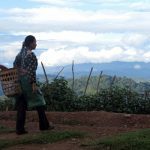 The EU’s stated priorities in Burma are peace, democracy, and development and trade. By any reasonable assessment, progress on all three is either stalled or underperforming, and justifies a fundamental review of policy. The problems are not simply those of a challenging environment and deeply entrenched problems. Lack of progress on the EU’s stated priorities also stems from a complete misreading of the situation in the country which has led to flawed decision making and ineffective policies. Presumptions made in the ‘Comprehensive Framework for the European Union’s Policy and Support to Myanmar/Burma’, in 2013, and in the ‘Joint Communication to the European Parliament and the Council, Elements for an EU strategy vis-a-vis Myanmar/Burma: A Special Partnership for Democracy peace and Prosperity’, in 2016, have been proven wrong. There never was a genuine transition to democracy. The 2008 Constitution is not democratic and the military have no intention of allowing changes to the Constitution that will lessen their control. The military are committing more human rights violations than before reforms began. During a reform process which the EU presumed would lead to an improvement in human rights, human rights violations escalated to the point of genocide. The civilian government led by Aung San Suu Kyi does not respect human rights. 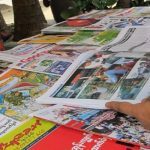 Media freedom and freedom of expression is declining, the civilian government defends the military denying that they have committed the human rights violations documented by the United Nations, and repressive laws continue to be used instead of being repealed. The number of political prisoners in the country is once again growing. The peace process is stalled and is being undermined at every level by the military, which is also likely to veto the constitutional change needed. Conflict has increased since the peace process began, and the government and military continue to restrict humanitarian access in ethnic states. Set policy based on the reality on the ground today, not on past false assumptions, hopes or broken promises. Formally endorse the findings and recommendations of the United Nations Fact Finding Mission on Myanmar. Impose targeted sanctions banning European companies doing any form of business with military-owned and controlled companies. Support the referral of Burma to the International Criminal Court, or the establishment of an ad hoc tribunal. Abandon support for the implementation of the national verification card (NVC) scheme, so-called pathways to citizenship and other delaying tactics, and instead support the immediate repeal or reform of the 1982 Citizenship Law and immediate granting of citizenship to the Rohingya. Refer to the Rohingya as Rohingya when talking about them. Not calling Rohingya people Rohingya is nothing less than bowing to the demands of racists and thereby empowering them. Reverse cuts to refugees on the Thailand-Burma border and start to prioritise humanitarian aid to refugees and IDPs in Burma to ensure their needs are met. Halt all projects and plans relating to repatriation of refugees in camps in Thailand until it is safe for refugees to return and adequate support for those returning is provided. Enact a visa ban on all members of the military, except for meetings specifically on human rights and democracy. Set specific conditions for safe return of Rohingya refugees based on what the refugees themselves are asking for, for example citizenship and justice and accountability. Conduct an independent review and evaluation of support for the current peace process. 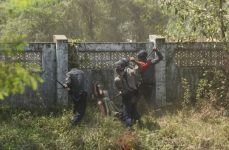 End the lack of transparency over which if any member states are continuing to train the Burmese military and impose a complete ban on any form of training. Ban the supply of any kind of equipment to the military, not just arms and communication equipment. End the MYPOL training programme of the military-controlled police force. 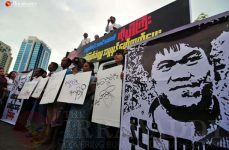 Return to prioritising the release of all political prisoners in Burma. 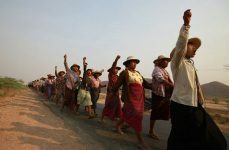 Set conditions on improvements in human rights, such as the release of political prisoners and repeal of repressive laws, in return for assistance to the government of Burma. In tackling religious hatred, prejudice and hate speech, build the work of the EU around the implementation of the Rabat Plan of Action. Support a UN-mandated global arms embargo against Burma and work to persuade individual countries to implement their own unilateral arms embargo until a UN-mandated arms embargo is imposed. Provide significant additional funding to meet the needs of refugees in Bangladesh.